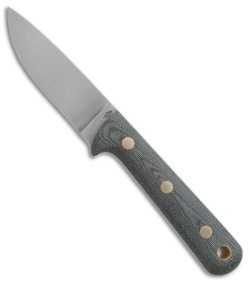 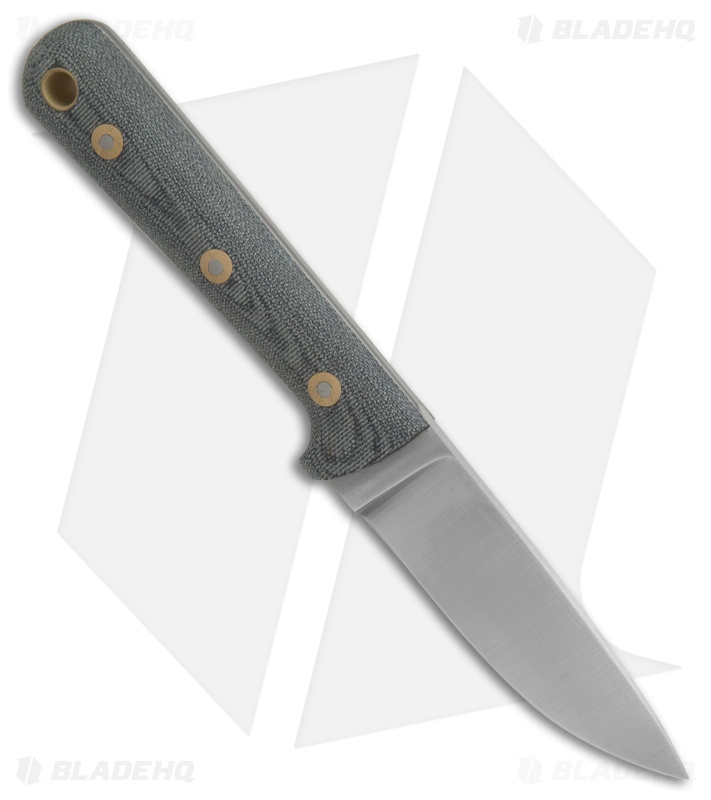 This Woodsman Pro model has a black Micarta handle and a satin finished, flat ground blade. The BHK Woodsman Pro is a tough, lightweight fixed blade built for managing all of your hunting knife needs. 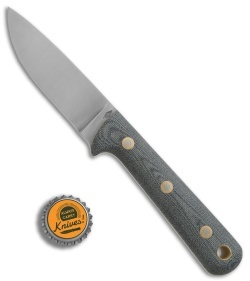 It's equipped with a full-tang O1 steel blade for added durability. Comfortably rounded Micarta handle scales offer a smooth grip with a finger guard for choking up on the knife. 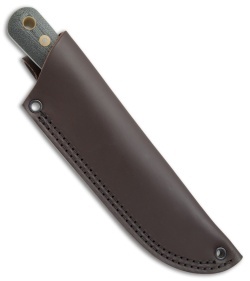 Item includes a leather hip sheath for secure everyday carry.